This is a VERY current layout. It is from this past Tuesday. We didn't get a ton of snow or ice - but there was enough to cancel school. 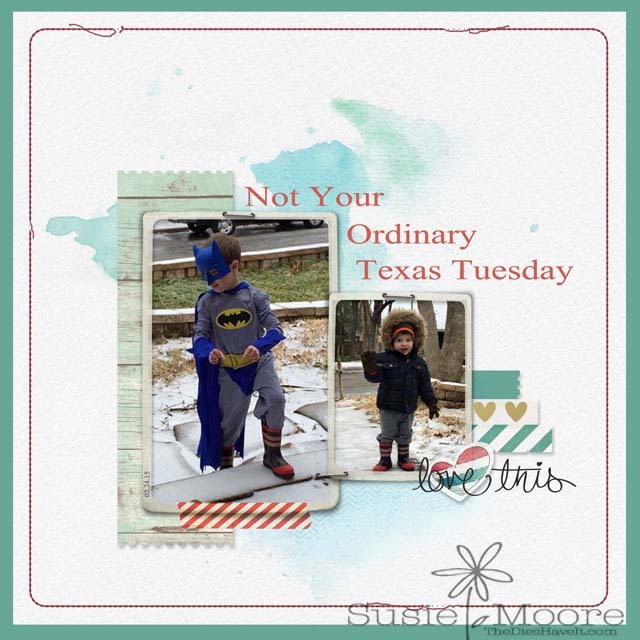 So of course Batman (Caleb) and Eskimo Man (Andrew) had to go out and play in it. Yesterday there was even more snow and now there are even more cute pictures to be made into layouts! Yippee!